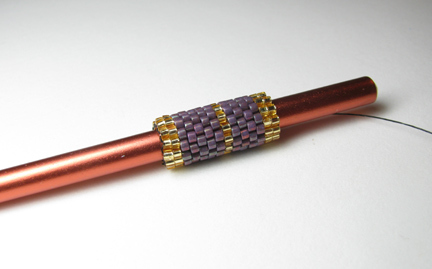 I received a copy of the new Kalmbach Press title, Bead Tube Jewelry by Nancy Zellers, and after leafing through it for an evening, I knew that I had to stitch something up to show you just how wonderfully simple her concept is. 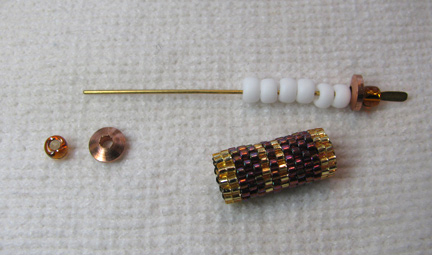 Nancy shows you how to use either brick or peyote stitch to make these luscious little tube beads that you can then combine in all different ways to make fun and fabulous jewelry. 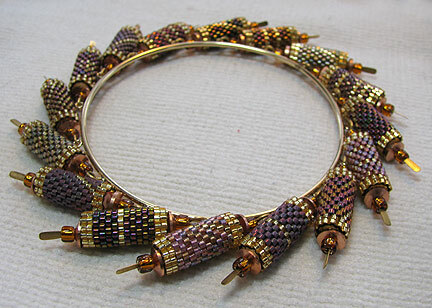 Not content with the obvious and the easy, Nancy teaches odd-count peyote as well as even-count so that you won't be limited in your designs. And she shows you SEVEN different ways to make the turns in odd-count, rather than assuming that you'll automatically like the style that is her favorite! My goodness...this information, plus the tips on reading charts are worth the price alone. You might suspect that a book full of projects that uses one repetitive form over and over would be a bit boring, but I think you'd be wrong! 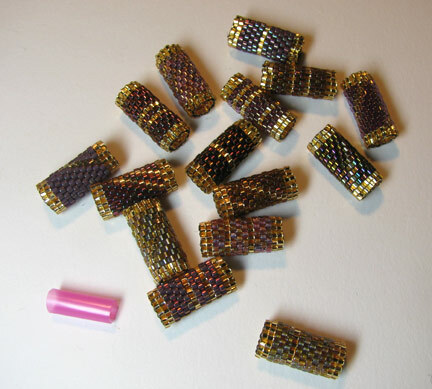 Nancy helps you to fully master the few stitches and all the many nuances, and she shows you just how many looks you can achieve after making a pile of these tiny treasures. I enjoyed several evenings of stitching as I got caught up on some taped TV shows. 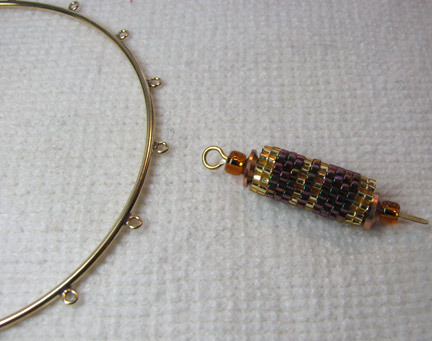 Once you get the rhythm, they are easy and even soothing to make! That is lovely Cyndi! Great colors you chose. Very very beautiful! A big fan of your creations!